Adele has released her long rumored, much hyped theme song for the next James Bond mission: Skyfall. True to past 007 anthems, the titular track starts off rather subdued before rousing instrumentation elevates the vocals to soaring heights. ”Sultry” would be the obvious adjective to pin to the Grammy-award winning singer-songwriter here, but so would dangerous, as well. “You may have my number, you can take my name, but you’ll never have my heart,” Adele warns, leading into a chorus that just dazzles as it kills. 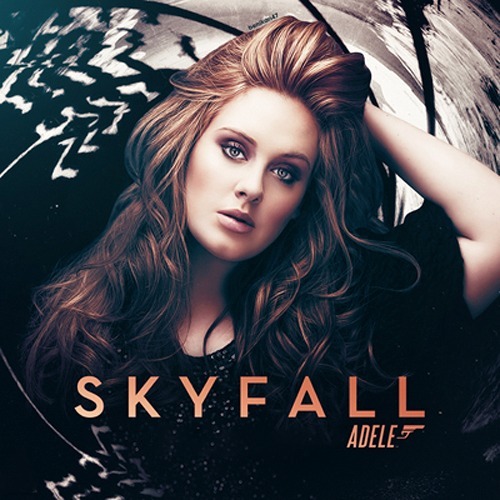 Judging from this, it’s quite apparent Adele’s tuned into many Bond marathons over the years. Skyfall hits theaters on October 26th in the UK and on November 9th in the U.S. In the meantime, check out a fun list of top Bond themes our friends over at Dark Horizons put together. It’s hard to argue with some of their choices.